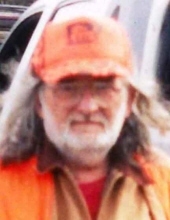 Robert Lee Mercea of Livonia died March 28, 2019. He was 73 years old. Robert was born March 27, 1946 in Highland Park to Violet (nee Sinosan) and Eli Mercea. Robert is survived by his sister, Linda (Dragan) Bogovican, niece, Elizabeth (Joseph) Mareno, nephews, Michael (Terri) Bogovican and Robert (fiancee Jackie) Bogovican and great-nephew, Vincent. He is preceded in death by his sister, Barbara Prata. Friends may visit at Lynch & Sons Funeral Home, 1368 N. Crooks Road (between 14-15 Mile Rds.) Saturday 10am – 12noon. Burial will follow at Resurrection Cemetery in Clinton Twp., Michigan. "Email Address" would like to share the life celebration of Robert Lee Mercea. Click on the "link" to go to share a favorite memory or leave a condolence message for the family.